According to ancient Forest Lore, leprechaun's were once commissioned to sew elven and faerie shoes. However, the name leprechaun is thought to come from the Gaelic phrase leith brogan, meaning "maker of one shoe." As the story goes, this industrious but mischevious Cobbler would always hide one shoe and carry only one to the new owner. Just in case he was spotted by a mortal. If captured, the leprechaun was obliged to reveal the location of his hidden crock of gold. Naturally, the leprechaun was very tricky and cautious about this information, and at the first chance he would disappear along with the single shoe and all his treasure. Following a few mishaps of only receiving single slippers, or worse yet...no slippers at all, the elves decided to take shoe making into their own hands. 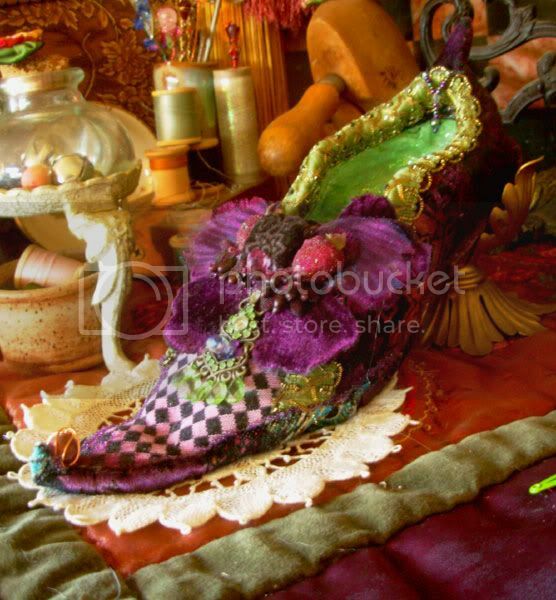 Word was sent throughout the faerie and elven realm that a shoe making contest was to be sponsored by the Elders of the High Counsel. Shoes play an important part in community culture. They were such cherished elven wear that their formal slippers were christned with names and generally worn for a lifetime. 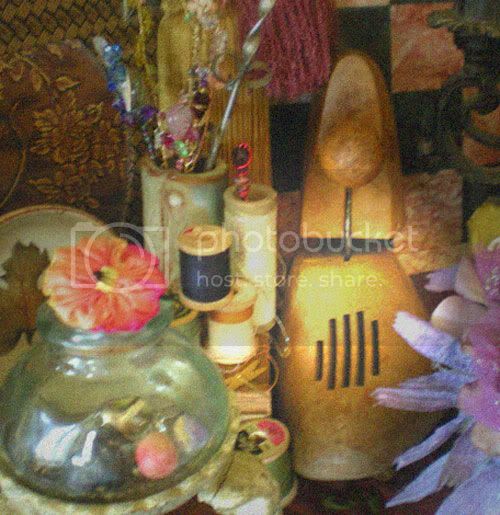 Well used and beloved slippers were passed down to the next generation and displayed on their carved mantles along with other valuable family heirlooms. Talented elven and faerie artists traveled from realms far and near to submit their shoe designs for the Elders to judge. 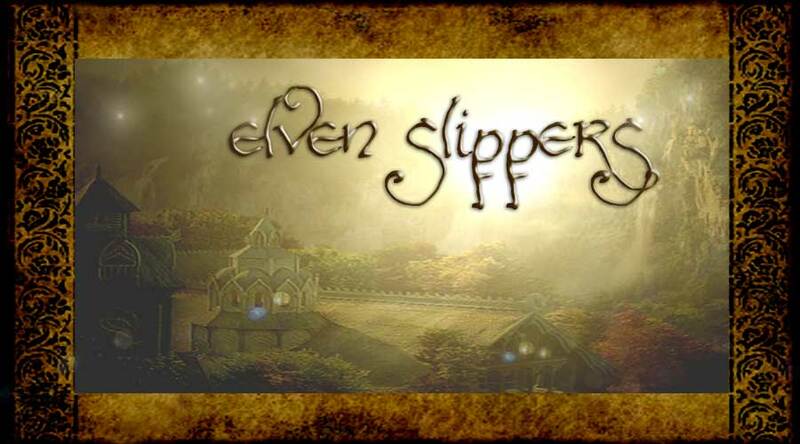 Only one elf and one faerie would be chosen for the honor of holding the title of Elven Slipper Cobbler. The Cobbler Rume Gavier and faerie Everllie (who was later affectionately crowned *Princess* by the grateful citizenry) won the contest. Together, they were granted a prominant place to begin work on their newly honored and greatly anticipated shoecraft. Setting up shop near the Counsel's amphitheatre at the center of town, it soon became one of the most popular places in the community. Especially before a festival or royal event which required special costuming. Soft bark leather and rose velvet is sewn with dyed silken threads. 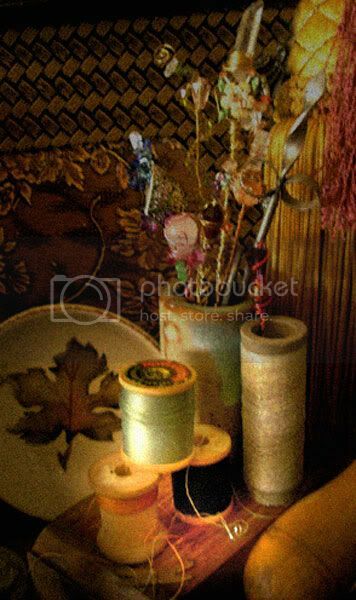 Threads and faerie crocheted flowers are stored in shoes that were gifted to the Cobbler and his staff, along with other findings that would be useful for the craftng of their shoes. 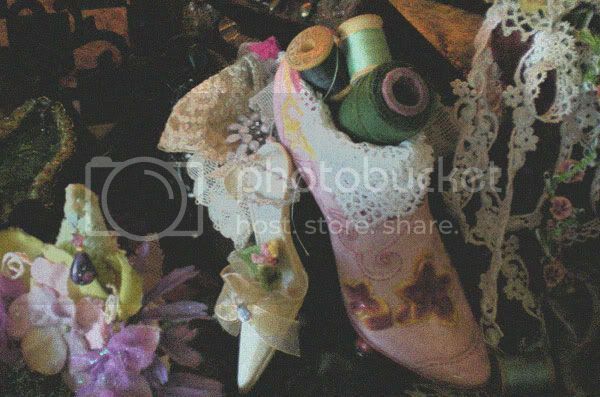 Each slipper displays it's own *medallion bouquet* which illustrates the name of the shoe, and holds special significance for the wearer. 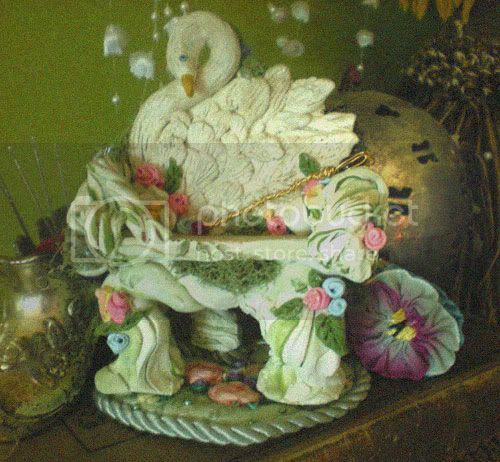 Cobbler Rume Gavier carved a Swan chair for the faerie artisans to take a moments rest. 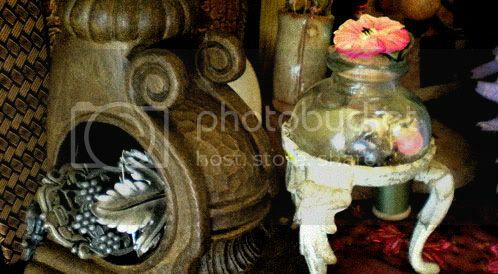 There were occasions when anxious orders were backed up such that shop candles were burning around the clock.